However, Apple has yet to announce public release date for iOS 9.3, but the company typically releases an iOS preview update just a few months before the final version. Apple is adding a new Classroom app for teachers that allows teachers guide their students via the iPad to handout lessons and track students’ progress. 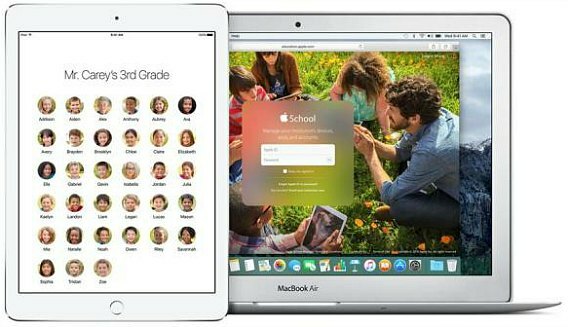 The photo ID feature that can assign shared devices also can allow students share their iPad with teacher or other students quickly without deleting their work or clearing their previous sessions. Students just need to log in and their content will be ready to go. Another most impressive feature – Night Shift by using Apple clock and geolocation feature, the colour of the display will automatically shifts to the warmer end of the spectrum when detect no more natural light around, putting less strain on the eyes, and returning to its display default settings in the morning. The night shift feature is purposely designed to help people keep their eyesight intact and also help them ease into their sleep every night. “Many studies have shown that exposure to bright blue light in the evening can affect your circadian rhythms and make it harder to fall asleep,” Apple wrote in a blog. To settings Night Shift feature, go to “Display & Brightness” section of the Settings app. In this section, you should see the new option to toggle on “Blue Light Reduction” which able to set the display to be Cooler or Warmer. There is a Schedule option that lets you set a custom schedule or choose to turn on Night Shift from sunset to sunrise. Notes is app use most of the time for keep personal data such as financial details, medical info, or website logins. 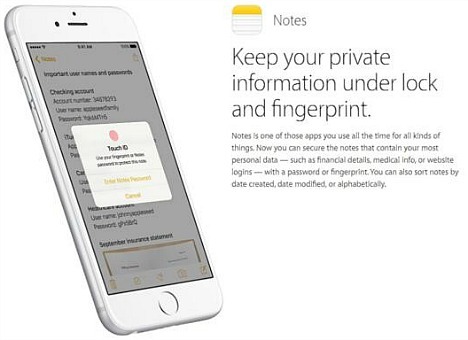 With iOS 9.3, information kept in Notes will be made private and secure with a password or fingerprint. You still can keep Notes password-free, but it’s recommend to use biometric security when the app is used to store passwords, numbers, and financial information. Besides that, you can also sort notes by date created, date modified, or alphabetically. With iOS 9.3, Apple has improved the News app to make it more personalised to user-specific. The “For You” sections will be better tailored to user’s interests and trending topics from Apple editor’s specific picks to help users better discover content. All articles and videos will also be supported in landscape mode. In iOS 9.3 Apple is adding more 3D Touch shortcuts to its native apps included Weather, Settings, Compass, Health, App Store, and iTunes Store for iOS users with an iPhone 6S or 6S Plus. The Health app’s dashboard is getting significant updates, making it easier for users to see all their health metrics in one place. 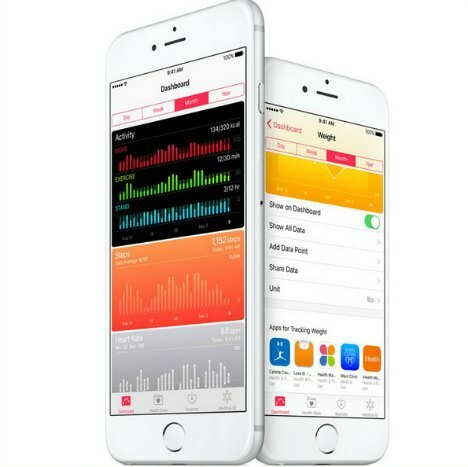 Categories such as Weight, Workouts, and Sleep have a new slider menu that links to apps allow you to collect data. The Health app also displays your move, exercise, and stand data, as well as your goals which is tracked by the Apple Watch. With iOS 9.3, CarPlay app adds even more useful features. New and For You sections for better music discovery — with songs, artists, and albums handpicked by experts, and the Nearby feature in Maps allows you located gas stations, parking, restaurants, coffee, and more by using a voice command.